Everyone one should follow the CTM routine but people with oily skin often think that they don’t need it and so skip that step. They cleanse the skin and tone it stripping all the oils and leave it so. This is the biggest skin sin they are doing. May be you have chosen only wrong moisturizers for your skin and so you think moisturizers aren’t for you. In that case, you need to choose the one made you. We are listing top 10 moisturizers for your skin type here. Try choosing one of them that suits you best. This is lightweight on the skin and oil free that gets absorbed by the skin easily making it soft and supple. It can keep you oil free up to 6 – 7 hours. SPF is a plus in this moisturizer. This gets absorbed into the skin easily giving your skin matte finish. It can keep oil at bay for 4 – 5 hours giving your soft and smooth skin. It is also non comedogenic and consists of no parabens. This is specifically made for oily skin that gets absorbed into the skin quickly giving soft and matte finish. It prevents oil for 6 -7 hours and controls acne and pimples. This one is also a light weight one and absorb into the easily making skin soft and supple. This doesn’t leave any residue or cast like most of the whitening products do but if you have extremely oily skin, then avoid this one. 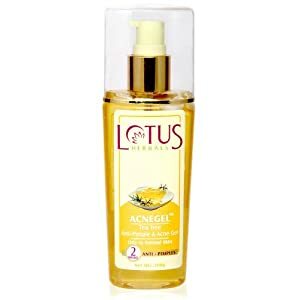 This one gets absorbed into the skin very easily and makes skin soft and supple. It is also very light weight on the skin and can keep oil at bay for long time. 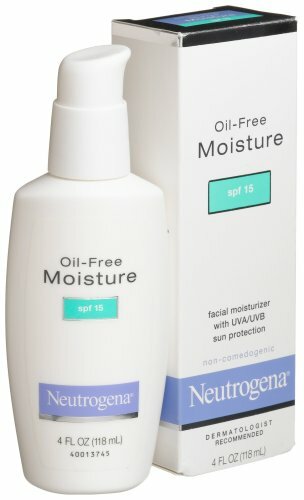 SPF is a bonus with this moisturizer. 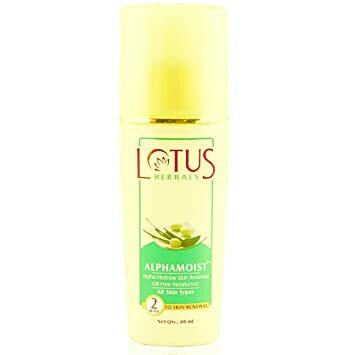 This oil free moisturizer gets absorbed into skin easily making it nourished and soft giving matte finish. This one is dermatologically tested and doesn’t clog pores as well. It is a gel based moisturizer and is light weight on the skin. It gets absorbed by the skin easily giving you soft and supple skin. This prevents oil production up to 6 – 7 hours. If you have acne and pimple issues, then you should try this one. It also helps in lightening the scars left by the pimples and acne. 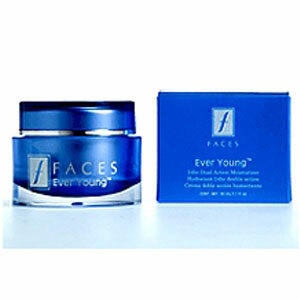 This is a cream based one but is light weight on the skin that gets absorbed into the quickly making it soft and supple. This also prevents excess oil production for long hours. This is a light weight moisturizer and oil free that doesn’t clog pores and is best suitable for those suffering with acne and pimples. This one is quite affordable and at the same time very effective. This one works very well for oily skin giving soft and hydrated skin. It doesn’t clog skin pores and gives healthy skin. We recommend you to try this moisturizer as well. Korean Beauty Secrets You Must Know ! Lacto Calamine is known as one of the best moisturizer til date.